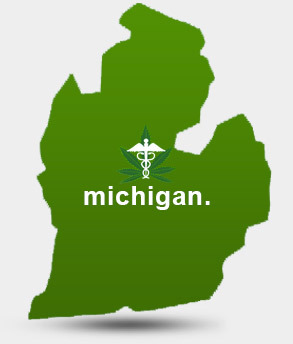 It has been ruled by a Washtenaw County Circuit Court judge that the Michigan Medical Marihuana Act does not preempt local zoning laws regulating the production and distribution of the drug including zoning regarding were a medical marijuana grow can be established. The ruling is significant as it is the first court challenge to zoning laws regulating medical marijuana in the state, says Ypsilanti Township’s attorney Dennis McLain. Previous court challenges came against communities that have tried to ban medical marijuana use, production or distribution because it is still illegal federally. The ruling comes as a part of the case against two Ypsilanti Township residents who were exporting an intense medical marijuana odor out of their home as a result of some variety of processing operation in their basement. The defendants deny it is an issue, though neighbors have complained about the odor. The defendants, Michael Engle and Deborah Kochubar are also being charged by the township for exceeding the permitted allowance of medical marijuana allowed under the township’s zoning laws. State law permits a person with a medical marijuana patient’s card to grow up to 12 plants for his or her personal use. Ypsilanti Township ordinance allows residents to grow their personal plants in residential zones. Thus, The zoning law in Ypsilanti Township allows for a person to grow marijuana and thus be a caregiver for themselves but does not allow for that person to be a caregiver and thus grow marijuana for their other patients in residential zones. Meanwhile, state laws allows registered caregivers to grow up to 72 plants for up to five patients and their own personal use. However, Ypsilanti Township’s zoning ordinance doesn’t allow caregivers to operate in residential zones, such as the defendants’. Representing the defendants, attorney Eric Misterovich argued that state medical marijuana laws preempt local ordinances, and the township’s zoning ordinances regarding medical marijuana are not enforceable. State law does not rule where medical marijuana can and cannot be grown, yet when Misterovich asked the Washtenaw County Circuit Court Judge Archie Brown to dismiss the case, Brown disagreed with Misterovich’s assessment. “There are no provisions in the MMMA that prohibit municipalities from adopting zoning ordinances regulating where medical marijuana caregivers can grow and dispense marijuana for other patients,” Brown wrote in his ruling. “This is a significant issue; whether densely populated neighborhoods can be taken over by medical marijuana grow operations. We’re definitely fighting that to the end,” McLain said. On March 26, 2013 the United States Supreme Court issued its opinion in the case of People v. Jardines. In the case, the Miami-Dade Police Department working with the Drug Enforcment Administration took a drug sniffing dog to the front porch of Joelis Jardines’ residence in southern Florida in order to build probable cause demonstrating marijuana was being grown inside the home. Based on the drug sniffing dog’s alert the Police were able to obtain a search warrant for Jardines’ home. Once in the home, police discovered growing marijuana plants. Jardines was eventually charged with distribution of marijuana. In the trial, Jardines filed a Motion to exclude evidence claiming that police committed an illegal search of his home when they brought the drug sniffing dog to his entryway. The trial court granted the motion and the prosecution appealed that decision. The third district court of appeals reversed the trial court’s decision and Jardines appealed to the Florida Supreme Court. Florida’s Supreme Court ruled that bringing a drug dog to a house’s closed entrance, and having that dog sniff to identify marijuana cultivation, establishes in and of itself a search of the home. Thus, If such a search is conducted without a search warrant it also constitutes a violation of the Fourth Amendment, which guards Americans from unlawful searches and seizures. The U.S. Supreme Court in People v. Jardines agreed with the Supreme Court of Florida in a 5-4 decision. The U.S. Supreme Court reasoned that the entry way is part of the curtilage of the home which enjoys protection as in the home itself. Since the police conduct (the canine investigation) was not explicitly or implicitly permitted by the homeowner the action constituted a search. Police are allowed to walk to the entry way because it can be said that that conduct is implicitly permitted based on the “habits of the country.” However, this implicit license only extends to walking up to the door, knocking, waiting for a response, and (absent an invitation to linger longer) leave. The court found there is no implicit license to conduct a canine investigation on the curtilage of a person’s home. The Supreme Court distinguished this case from those involving canine investigations of luggage at airports, or canine investigations during the course of lawful traffic stops because this situation involved a physical intrusion onto a person’s real property. This was a good decision by the U.S. Supreme Court, although it is worrisome that it was a 5-4 decision. This case will surely effect how police conduct investigations across the country, and will protect the privacy rights of all. This decision will undoubtedly protect the medical marijuana community throughout Michigan. At Rudoi Law we are experts in Fourth Amendment Issues. If you or a loved one has been subjected to a search by authorities call our hotline today at (248) 935-9074 to assess whether your rights have been violated. The 3rd Annual Michigan Medical Marijuana Expo is being held at The Rooster Tail in Detroit from March 22-24, Fri 5-9 , Sat 9-9, and Sun 9-5. Saturday from 7-8 a panel of 4 esteemed lawyers specializing in the Michigan Medical Marijuana Act will be presenting information for the public; there will also be a question and answer forum. The attorneys on the panel will include Neil Rockind of Neil Rockind P.C., John Targowski of Targowski & Grow P.L.L.C., Michael Komorn of Komorn Law, and David Rudoi of Rudoi Law P.L.L.C.. Drunk Driving Is A Serious Offense. Tacoma City Councilman Ryan Mello has entered a plea deal that will help him avoid a DUI charge. Mello’s DUI charge will not appear on his criminal record if complies with the conditions of his plea deal requiring him to attend a DUI Victim Panel, seek treatment for chemical dependency and pay $900 in fees. He apologized in a statement made to the News Tribune, claiming that he made a mistake that night and he was sorry, adding that he has taken full responsibility and will cooperate with the prosecutor. Claire Bradley, the Deputy Prosecutor said that the plea deal was fairly standard for a first time offender who was close to the legal limit. The Tacoma City Councilman was arrested on January 19, 2012 after the officer who pulled him over detected an odor of alcohol on his breath. Mello, the driver of his Jeep with several passengers was asked to step out of the car and perform a number of field sobriety tests. According to arresting officer Guy Gill, Mello did not identify himself as a Tacoma City Councilman was extremely cooperative through the process. Police also noted that Mello’s blood alcohol content (BAC) did exceed the legal limit of .08%. Even for a DUI first offense, you face serious potential punishments. Depending on the judge you draw—and we know which ones have a history of tough sentencing—jail time is a real possibility. What’s more, in cities throughout Oakland, Wayne, and Macomb Counties, you’re up against hardened prosecutors and career politicians who are measured by the frequency and severity of their convictions. Especially with drunk drivers. At Rudoi Law, we have the OWI (DUI) expertise you need. We understand the criminal system. We know the defense strategies that have won in court. And we understand the judges and prosecutors working in Metro Detroit today. We’ll give you the tough defense you deserve, all while demystifying a complex process. What’s more, we understand the needs of our clients. Battling for your future can be emotionally draining. And for many people, a first offense DUI Charge is the only trouble they’ve had with the law. That’s one of the reasons why we work so hard. We believe one mistake shouldn’t compromise a lifetime of work or cost you your freedom. Police Are Cracking Down on Drinking and Driving. Michigan is doing their best to keep drunks off the road with the help from a special message in men’s bathrooms featuring an attention-grabbing woman’s voice. This is an interesting step in Michigan’s DUI Fight. Talking urinal-deodorizer cakes have been distributed to Michigan Licensed Beverage Association members in Wayne County, including Detroit, state officials announced. Men will be reminded by a recorded message to call a cab or a friend, if needed, to return home safely. “Not only do we want to turn some heads and get people talking, we hope everyone takes the message to heart,” Michael L. Prince, director of the Michigan Office of Highway Safety Planning, said in a statement. Bay, Ottawa and Delta counties are getting them as well. The motion-activated messages are part of a statewide Fourth of July education and enforcement effort. The federally funded drunken driving crackdown runs through Sunday. Included in the effort is an increase in patrol in 26 counties involving a number of agencies. “At first it may be seen as humorous, but the seriousness of the message will stand out and encourage patrons to find a safe ride home,” said Michigan Licensed Beverage Association Executive Director Scott T. Ellis. Talking urinal cakes have been used in other states for similar efforts. What’s more, we understand the needs of our clients. Battling for your future can be emotionally draining. And for many people, a first offense DUI is the only trouble they’ve had with the law. That’s one of the reasons why we work so hard. We believe one mistake shouldn’t compromise a lifetime of work or cost you your freedom. If you or someone you care about needs legal counsel for your drunk driving case, Rudoi Law is available 24 hours a day to help. Dustin Cowhig, a repeat DUI offender has escaped a felony DUI charge due to a clerical error. Cowhig was arrested for his third DUI offense on September 5, 2012 when an officer claimed Cowhig ran him off the road while driving 20 mph over the speed limit. Circuit Court Judge Randall D. Smith dismissed the charges which prosecutors say was because Cowhig had already plead guilty to a lesser charge of reckless driving regarding the same incident and could not be charged with DUI using the same set of facts. Following the dismissal of the felony, Cowhig was released from the Chesapeake Correctional Center where he spent six months awaiting his trial. In 2010, the repeat DUI offender was arrested in a hit and run accident where his blood alcohol content (BAC) level was .30%, nearly four time the legal limit. Cowhig was arrested for a second time on December 11, 2011 after running a stop sign and failing the alphabet test administered by the arresting officer. During the second arrest Cowhig’s BAC was .26%. During his third DUI arrest he refused to submit a breathalyzer test and if convicted, he could have faced up to five years in jail. Aneka Williams, the Commonwealth’s Attorney, thought that the paperwork listed a reckless driving statute for speed, which would have made charging Cowhig with two separate offenses possible. The incident is being labeled a one-time error and prosecutors have reminded the Chesapeaker Police Department not to charge a driver with both general reckless driving and DUI. What’s more, we understand the needs of our clients. Battling for your future can be emotionally draining. And for many people, a first offense DUI is the only trouble they’ve had with the law. That’s one of the reasons why we work so hard. We believe one mistake shouldn’t mar a lifetime of work or cost you your freedom.